Experience the fun of giving your dog a bath at Chewy’s self-service bathing facility. Baths include our signature South Bark Blueberry Facial. We provide all the supplies, including aprons, quality shampoos and high velocity dryers, and we clean up the mess. All you need to bring is yourself and a dirty dog! Tubs are designed for easy access, accommodate dogs of all sizes and are elevated to minimize back strain. A great place for seniors and Great Danes or Mastiffs! 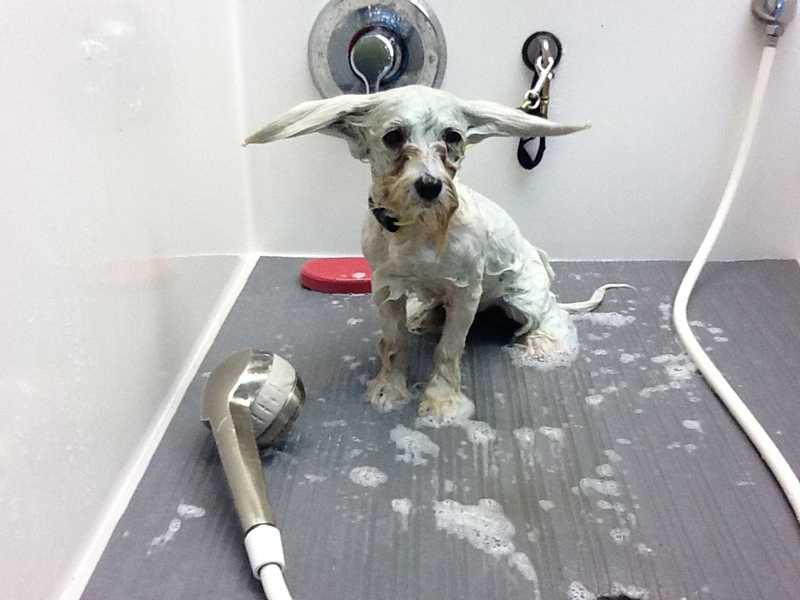 Self-service baths are $15 per dog, but start a Chewy’s Frequent Bather Card and your 7th bath is free! If you’d like to complete your spa experience with a “pawdicure,” our professional staff can give your dog a nail trim for just $8 more ($12 without a bath). Self-service washes are available only on a walk-in basis (first come, first served). Please note that self-service baths must be completed 30 minutes before the store closes to give us time to tidy up for the following day. 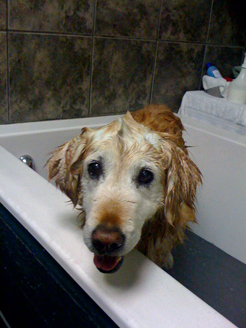 We wash your dog with premium shampoos to clean and deodorize their coat. Each dog receives our signature Blueberry Facial and soothing massage, as well as ear cleaning. We use lavish conditioners to make your dog’s coat soft and shiny. High velocity blow-dryers get your pet completely dry and remove loose fur. All dogs are considered finished when a fine-tooth comb glides through their entire coat. Bath and brush services start at $25 and increase as appropriate based on breed, size, length and condition of coat. Extras may include sanitary trims, paw trims, nail trimming and dremeling (grinding), or teeth brushing, upon request. We also offer full service grooming including breed-specific cuts, but we're currently booking 3-5 weeks out, so please plan ahead! Bath & brush or full grooming services are available by appointment only – please call us at 303-344-2663 to schedule a convenient time.